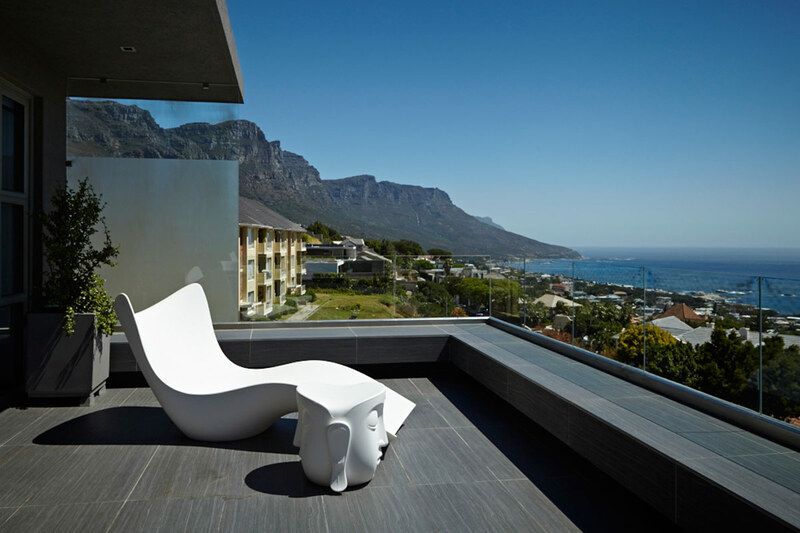 Nestled on the slopes of Camps Bay, is one of Judith Hendry’s latest works of interior design. 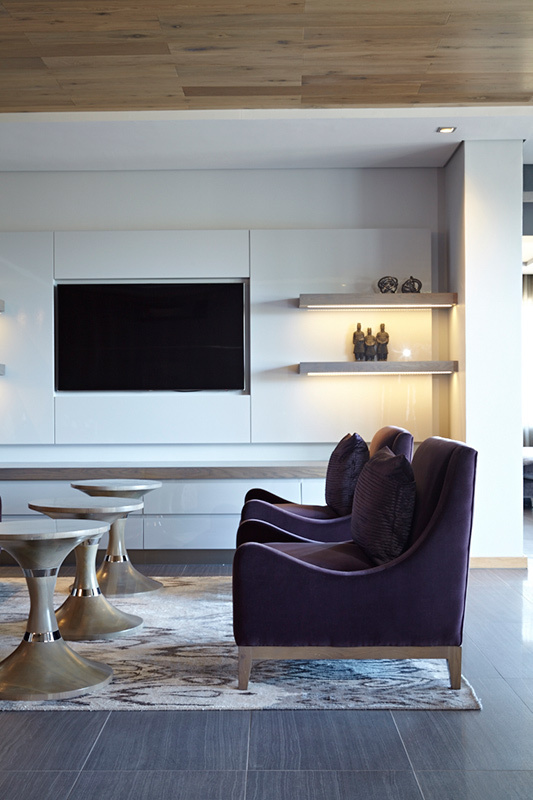 With a brief of glamorous living and a undertone of purple found in anemone, this renovation project has become a house that is stately yet comfortable. 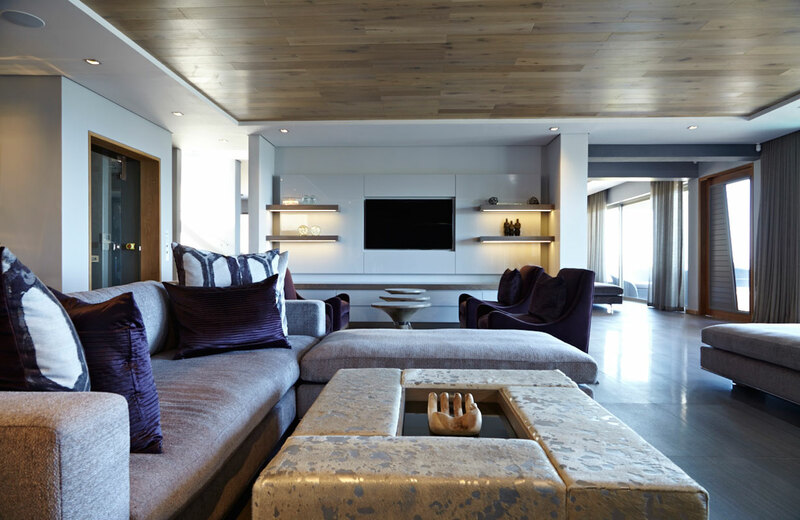 The use of a softer grey, creates an elegant style with colours blending in to form a tranquil setting. 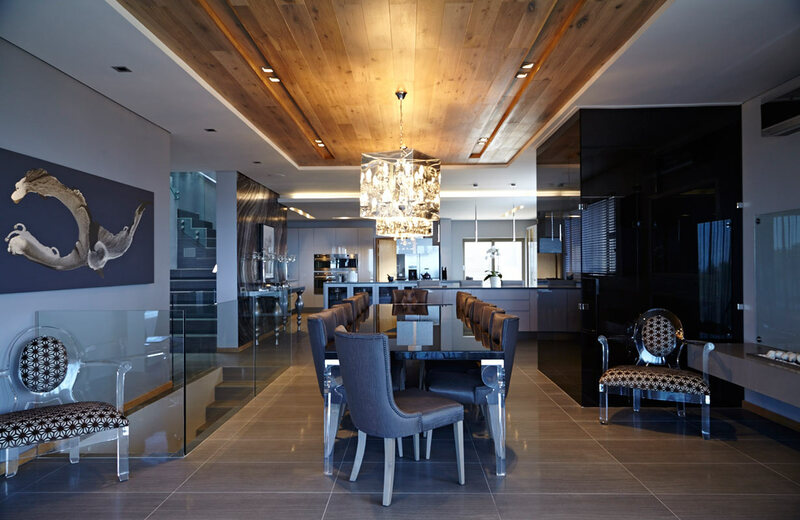 Wooden ceilings are a great design feature accentuating the space of each room that they are in. Metallic wallpaper forms the central focal point between the dinning room and kitchen where the staircase behind it, leads to the family room with a similar pattern on the scatter cushions. The lounge is made up of three areas for versatile living. The TV area, fireplace and the drinks area which is hidden behind sliding panels. 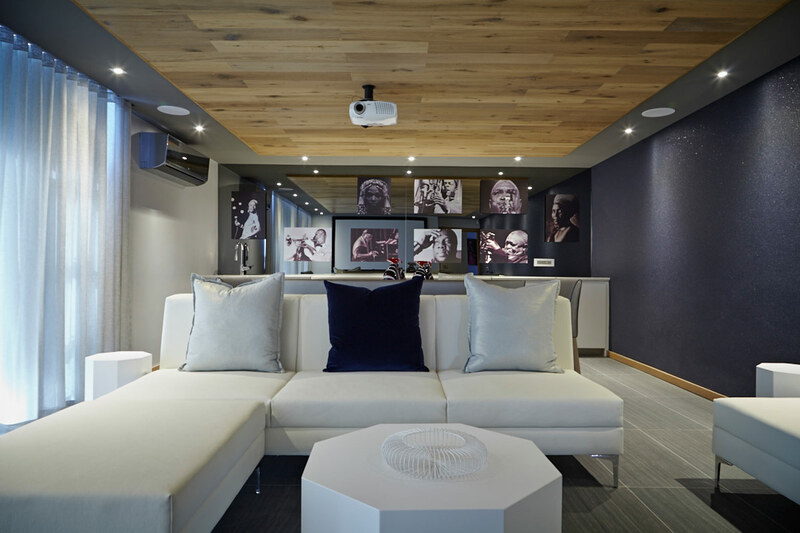 The entertainment room is filled with images from great musicians on a mirrored wall, while on the other side of the room is the big screen for the cinema. For the guest room, Judith asked for one of my images of Cape Town at night, which is in the Neville Lockhart Store. The image was printed as a Dibond, and hangs seamlessly on the wall.